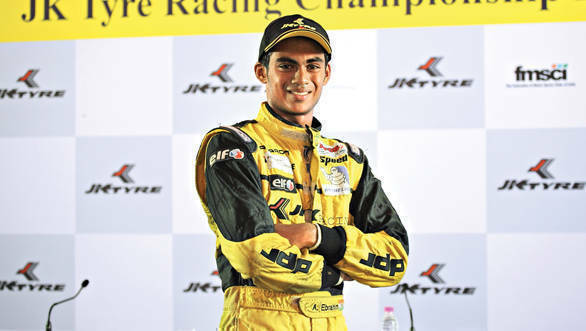 Akhil Rabindra's had a fairly steady climb up the single seater ladder over the last few years. Back in 2014 the Indian driver was selected to be a part of the FIA Academy's Young Driver Programme, which he followed up with a full season in the BRDC F4 championship with Douglas Motorsport. He then made the switch to Lanan Racing in the British F3 championship in 2016. For 2017, though, Rabindra is set to make a return to touring cars (remember he did compete in the Toyota Etios Motor Racing Cup back in 2013). Well, more accurately, sportscars. Rabindra will compete in the British GT Championship, driving a McLaren 570 GT4 for the Black Bull Garage 59 team. Rabindra has also been selected by the McLaren GT Academy, which has selected seven other drivers to be part of their training programme. Of these drivers, four have been selected to compete in the British GT Championship. Rabindra will be joined by team-mate Dean Macdonald, with whom he will share a car. While the Academy's other drivers Sandy Mitchell and Ciaran Haggerty will team up in the other 570 GT4.